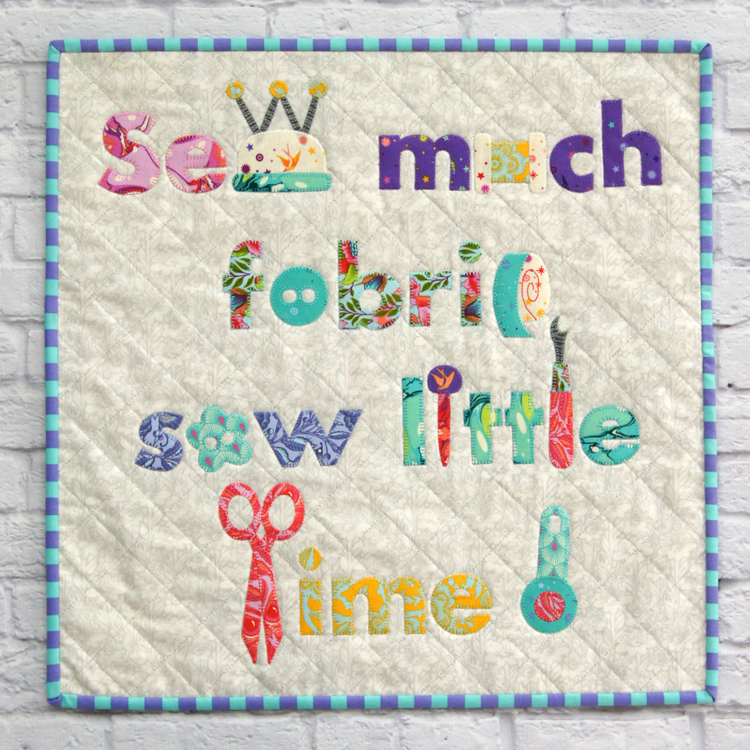 The Sew Much Fabric Mini Quilt is a playful sewing inspired quote quilt you will want to add to your collection. Great to make for Swaps or for all your sewing friends - this Mini Quilt will make the perfect present. The pattern includes clear set out instructions with photos and illustrations. This pattern would also be a fantastic project to use up some of your scraps.